*Please note this DVD is strictly for personal use. Any educational use or public showing must include the purchase of an Educational DVD with Public Performance Rights. See below. For our special discounted price of $150 for K-12 schools and public libraries, please CONTACT US for the coupon code. To host a screening of East LA Interchange at your local theater, community event, or school, click the Request a Rental button below. East LA Interchange is a powerful tool for educational use. The film has multidisciplinary appeal and is currently being used in courses within History, Chicana/o Latina/o Studies, Urban Studies and Planning, Ethnic Studies, American Studies, Asian American Studies, African American Studies, Geography, Architecture, Sociology, Anthropology, Political Science, Public Policy, Education, and Film. The educational DVD package includes a public performance license that permits unlimited screenings in classrooms and community assemblies. The accompanying Discussion Guide includes information about the topics covered in the documentary, and suggestions for thoughtful conversation and for action. Filmmaker Betsy Kalin is also available for personal appearances, either in-person or by Skype, to participate in panel discussions, post-screening Q&As, or classroom visits. Please EMAIL US for fees and availability. Order our DVD and DSL (Digital Site License) online with Visa, MasterCard, American Express, PayPal or by institutional purchase order using our secure shopping cart. CLICK HERE to send us your purchase order by email. If you would like to explore an option that does not appear here, send inquiries to Bluewater Media. If you are an activist organization, community group, religious institution, or other organization, and want to use the film for educational purposes within your organization, you must purchase the Public Performance Rights (PPR) to show the film. If you have a limited budget and cannot afford the Public Performance Rights (PPR), please tell us about your organization and how you’d like to use the film. It is important to us that East LA Interchange be used as an educational tool and we will try to work with you. Please EMAIL US. East LA Interchange is available for public screenings. If you need additional information, please send an inquiry to Bluewater Media. If you are interested in having a commercial screening by charging admission, please send your inquiry to Bluewater Media. 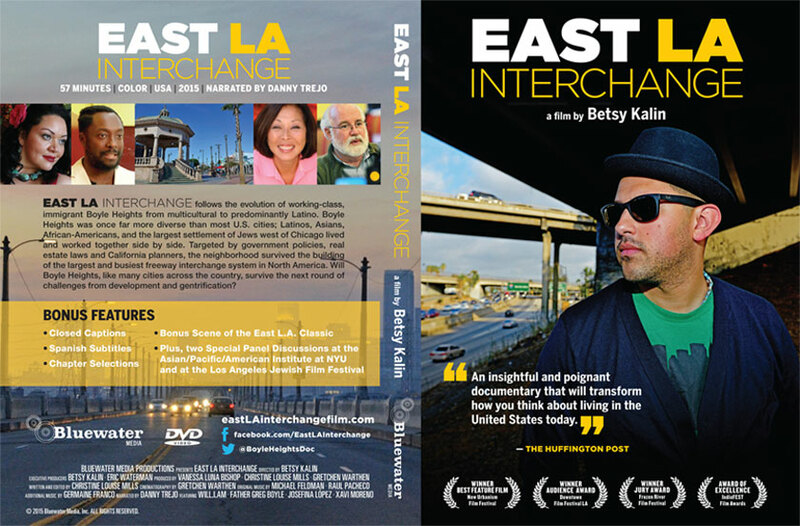 Purchasing the Educational DVD copy of East LA Interchange (the “Film”) includes a public performance rights license (“PPR License”) that permits your institution (“Licensing Institution”) one (1) physical DVD to screen in classrooms and otherwise makes available to students and faculty only for the purposes of research, education, and any other non-commercial use. You may make the film available to registered students, faculty, and staff (“Institution Members”). This PPR License does not allow you to charge admission, or to sublicense, digitize or duplicate the Film in any way or to exhibit the Film commercially in any other manner. United States Copyright Law protects Bluewater Media’s Film, the Film’s distribution worldwide, and the materials included therein including without limitation: graphics, text, audio-videos, designs, and any and all copyrightable material (the “Materials”). The Materials are owned, controlled, and protected by Bluewater Media. Any unauthorized use of the Materials is prohibited. The Licensing Institution may show the DVD only to its Institution Members in a non-commercial setting (i.e., for non-paying audiences only). Should the Licensing institution wish to show the DVD in a commercial setting (i.e. for a paying or partially paying audience), the purchase of an additional license will be required. The DVD may not be altered or edited in any manner. Duplication, reproduction, alteration, television broadcast, cablecast, loaning for a fee, leasing, sublicensing to others or use for commercial purposes, public performance other than within the Licensing Institution, or authorizing any party other than the Licensing Institution to do any of the foregoing, is strictly prohibited without written permission from Bluewater Media. 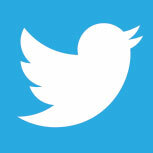 You must contact Bluewater Media to obtain additional licensing for a public or commercial performance. Purchasing the DVD copy and digital file of East LA Interchange (the “Film”) includes a public performance rights license (“PPR License”) that permits your institution (“Licensing Institution”) one (1) physical DVD to screen in classrooms and otherwise makes available to students and faculty only for the purposes of research, education, and any other non-commercial use, and one (1) single digital download of the Film from our Vimeo page with a purchased access code which will be e-mailed to you. When the access code is used, and the Film is downloaded to your computer, you may make the Film available to credentialed registered students, faculty, and staff (“Institution Members”) through your network (for example, through the library’s website which requires an institutional email (i.e., me@institution.edu) login and password to access). This PPR License does not allow you to charge admission, or to sublicense, digitize or duplicate the Film in any way or to exhibit the Film commercially in any other manner. The Licensing Institution must utilize the e-mailed Vimeo link and password ONLY once to download a digital copy of the film (the “Digital Film File”) to their server. The Licensing Institution may then encode The Digital Film File into a digital format that best streams through their network (the “Network Film File”). The Digital Film File may not otherwise be altered or edited in any manner. The Licensing Institution must guarantee a password-protected environment that does not allow the viewing user to download the Network Film File. The Network Film File may not be copied or used for any purpose not expressly outlined in this agreement. The Licensing Institution must deliver or make available the content via a password-protected digital streaming platform accessible only by Institution Members. The Licensing Institution may show the DVD, or stream the Network Film File only for Institution Members in a non-commercial setting (i.e., for non-paying audiences only). The Materials and the Film are owned, controlled, and protected by Bluewater Media. Any unauthorized use of the Materials or the Film is prohibited. The DVD may not be copied or used for any purpose not expressly outlined in this agreement. Duplication, reproduction, alteration, loaning for a fee, public performance, or authorizing any third party to do any of the foregoing, is strictly prohibited without written permission from Bluewater Media. The DVD purchased is intended for home use ONLY. The DVD may only be screened for private home use. Public Performance Rights MUST be purchased separately.